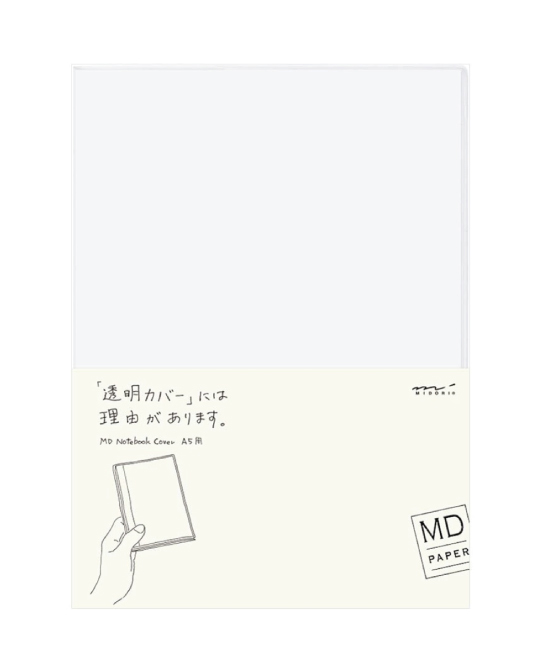 Made as an add-on for the Midori MD Notebook, the MD notebook Plastic Cover A5 was made by Midori in order to protect the cover, whilst at the same time cause minimum (visual) disruption with the tactile feel of paper. 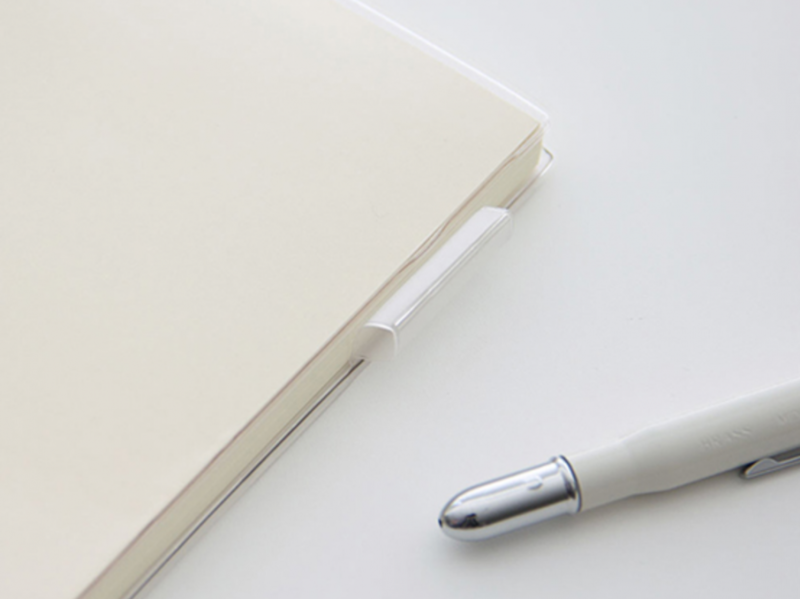 The plastic cover has a penloop, so you can keep your favorite notebook + pen combo within reach. 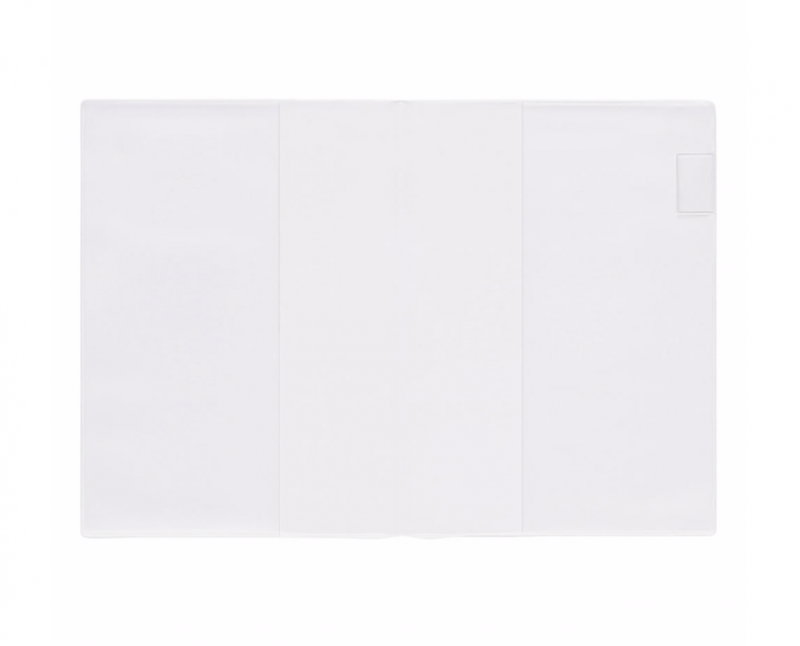 The covers are add-ons for the MD notebooks A5, to keep them as pristine as possible. 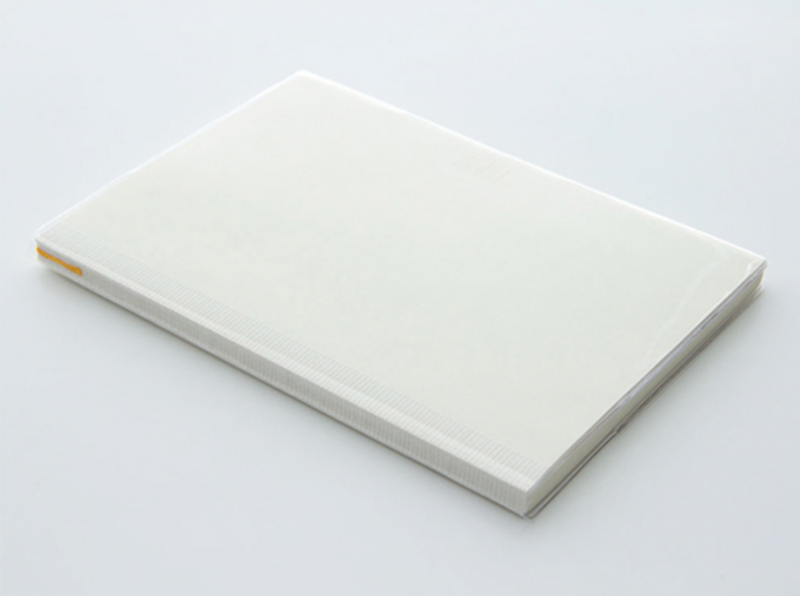 (As an tribute to MD Notebooks charachteristic binding method, the spine is only taped with a cheescloth tape. 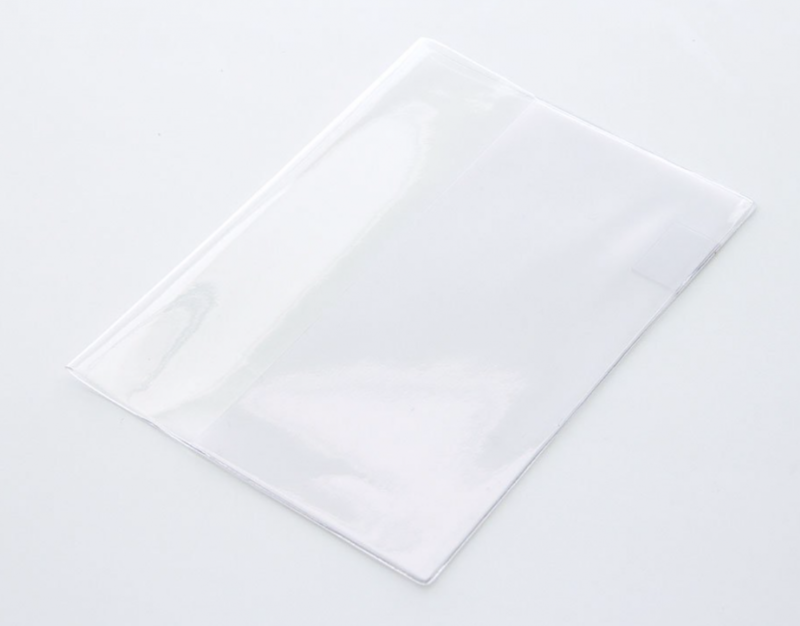 This way, the eleven bundles with 16 pages each is exposed.